Even though flood waters are rising, there was only one additional cell site out of service today from yesterday as a result of Hurricane Harvey’s relentless rainfall in Texas and Louisiana. Carriers are attributing it to hardened cell sites and their disaster recovery plans that have intensified following previous hurricanes such as Sandy in 2012. There are 4.7% of the cell sites down in the affected area. 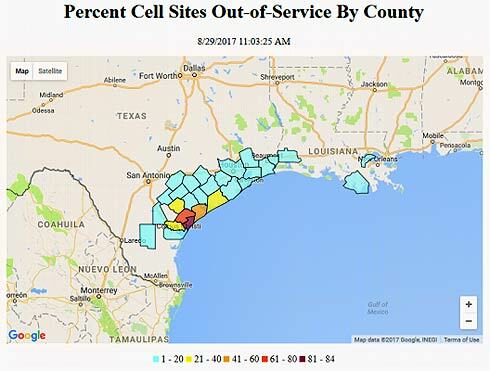 The counties with greater than 50% of cell sites out are Aransas and Refugio in Texas. In Louisiana, Calcasieu, St. John the Baptist, and Terrebonne are the only parishes to report any cell site outages, with each having only one cell site out. According to the FCC, there are at least 283,593 subscribers (up from at least 189,487 yesterday) out of service in the affected area. This includes users who get service from cable system or wireline providers. There are 21 (up from 19 yesterday) non-mobile switching centers out of service and 33 (up from 22 yesterday) switching centers on back-up power. There are 7 (down from 9 yesterday) radio stations out of service: TX – KXAI, K224EH, KKTX, KPRC, KKPN, KKWV and KAYK. Note that KUNO, KMKS, KZFM, KKBA and KEYS have been removed from the list since yesterday while KXAI, K224EH and KKPN have been added. KUQI, a TV station in Corpus Christi, is out of service. There have been no reported accidents of wireless workers assisting in refueling cell sites and assessing repairs of sites that are currently down. The National Association of Tower Erectors (NATE) today issued a statement urging all citizens and workers to practice safety and vigilance in the face of the severe flooding stemming from the torrential rains caused by Hurricane Harvey. 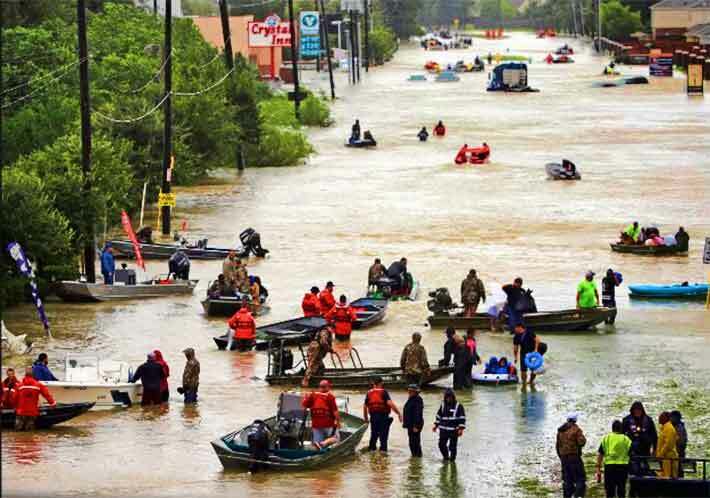 “NATE’s thoughts and prayers are with those citizens living and working in South Texas and along the Gulf Coast who are currently experiencing catastrophic flooding in the aftermath of Hurricane Harvey,” said NATE Board of Directors Chairman Jim Tracy from Burley, Washington.